Simcenter Testlab is a complete, integrated solution for test-based engineering, combining high-speed multi-physics data acquisition with a full suite of integrated testing, analytics, and modeling tools for a wide range of test needs. Our solution is designed to make individual users and complete teams more efficient. It is the ideal software for testing departments that need to be future-focused: offering the right balance between ease-of-use and engineering flexibility, and closing the loop with simulation. Our solution significantly increases a test facility’s productivity, delivering more reliable results, even when the availability of prototypes is dramatically reduced. What is Simcenter Testlab Neo? Our classic test-based engineering platform has been transformed to offer greater productivity, more insights, increased confidence and easier collaboration. Neo is the results of years engineering practice built in a new data acquisition, analytics, and modeling experience. Struggling with complex analysis procedures? Tired of having to go back to your data sets to modify a detail in your report? 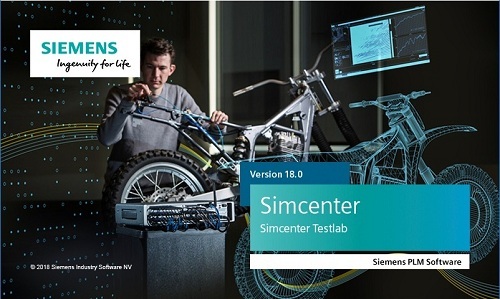 Simcenter Testlab Neo incorporates features that turn tedious tasks into simple steps. For example, enjoy the Process Designer. This functionality lets you define your analysis procedure in a few clicks. Select, drag and drop analysis steps to create a procedure, then simply run it. Of course, if you prefer, you can always select a standard procedure from the software: we have those ready for you. Simcenter Testlab Neo is also an amazing reporting tool. After all the hard testing and analysis work, can you deal with the frustration of generating dull reports? Stop annoying your management and team members with dusty, old-fashioned materials! Highlight your findings in your reports – even after the report is created. Simcenter Testlab Neo lets you modify or customize reports directly in Microsoft Word – whether it’s zooming in on analysis details or simply changing the color of a curve. If you thought testing and simulation are different disciplines, think anew. Model-based system testing (MBST) is a novel approach to test and simulation that uniquely combines the best of both worlds. Model-based system testing ensures consistency of your data sets along the entire product development cycle. MBST translates into many various features and functionalities. To quote only one, the Simcenter Testlab Amesim Sketch Viewer makes it possible to access simulation data from 1D models in a fully seamless way. Use then the Process Designer for your data analysis. The easy, seamless data import helps significantly decrease the time you spend on correlating simulation and test results. Additionally, you can completely eliminate errors and uncertainties resulting from diverging post-processing methods – test and simulation data are now identically processed. What does end-to-end durability testing mean? It means that teams cover every step of a typical test campaign – from channel setup and measurements to validation, consolidation, analysis, and reporting – in the same environment. No need for data conversion, all the Simcenter hardware and software tools speak the same durability engineering language. That’s not only a time-saver in the process, it also provides for a shorter learning curve and minimizes risks of errors. Sound quality engineering doesn’t have to be complex. Intuitiveness, that’s what we aimed for. However, an easy-to-use solution should not come short of functionalities and leave acoustic experts frustrated. The Simcenter solution is an easy-to-use and efficient analysis tool: it has a short learning curve but is suitable for all levels of expertise. 5. And what about satellite testing? So far, I have focused on functionalities that are available in our Simcenter Neo platform. Obviously, the Simcenter Testlab 18 release also comes with a wealth of feature enhancements within the classic platform. It’s hard to pick one – I’ll highlight a new functionality that will specifically address the needs of our customers in the space industry. Simcenter Testlab 18 offers a new closed-loop acoustic control functionality. Being active partners of many space labs around the world we’ve incorporated our skills and knowledge into a solution for acoustic qualification of spacecraft. Worth mentioning, I thought.